One day Mike called from the dealership to announce that our 750s were ready to be picked up. Gary and I jumped into the M6 and drove over to pick the pair of 750s up. They were both next to each other waiting for us. Although I originally thought I wanted the triple black combination, the champagne colour was more elegant. I liked mine. 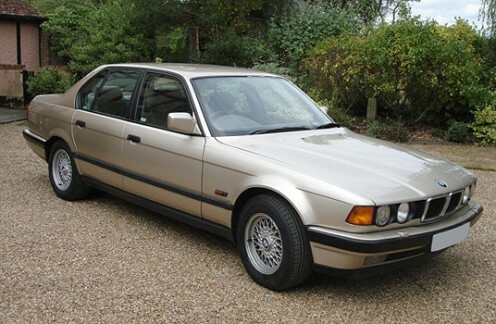 This was the second generation 7 series, that included the new 300 hp 5.0L V12 engine. It also was the first vehicle to include a number of new luxury items such as integrated telephone and fax machine, wine cooler, double glazed windows, auto stability and traction control, and a system that increased the pressure on the windshield wipers as the speed increased. The 750 was electronically limited to 155 mph, although a friend of mine at McLaren told me that they had used that engine for testing and they had it up to 180 mph. I thought it was understatedly elegant and it was a joy to drive. One day I was driving from Manhattan to Connecticut and was slightly distracted when I noticed a sign indicating the road I wanted to take was off to the right. Without thinking about, except to check for cars behind me, I jerked the wheel to the right and didn’t realise that there was a 8″curb separating my lane and the road I should have been on. The 750 bounced in the air as I hit the curb at 80 mph and barely landed on all four wheels. I thought I had broken an axle or something, the shock was so strong. The next few miles I was careful, as I didn’t know what damage I had created with my high speed leap. I do know, that if I had been wearing low profile tires it would have ruined the wheels and more. The result was that there was no damage, and the wheels didn’t even have to realigned. A year later I moved to Miami Beach and I took the 750 as I still had 3 years left on the lease. One morning I was driving to work on the MacAurthur Causeway with heavy traffic. We were moving at 5-10 mph with occasional stops for 30 seconds or so. On one of those stops, I gently hit the car in front of me. We both got out and noticed there was no damage to either vehicle. As we were getting back into out vehicles a police car stopped behind me with his lights on to see what had happened. We tried to tell him that all was ok, but he insisted on getting into his patrol car to write it up. In the meantime the driver in front of me and I sat in our cars waiting for the cop to finish writing his report. Suddenly I saw, with my peripheral vision, a car hitting the rear of the police car, and it sliding into the rear of mine. I in turn, again hit the vehicle in front of me. 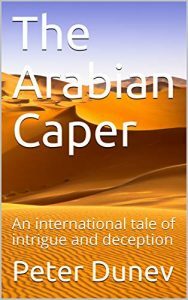 The airbags all went off and the smell of cordite was in the air, along with the talcum powder they use to pack the airbags in. I jumped out of the 750 and noticed the police cruiser was sandwiched between the car that hit us and mine. The cop was somewhere inside. Somebody called 911 and we tried to open the police cars door to see if we could help the officer. Eventually emergency vehicles arrived and took the officer to the hospital and removed our vehicles from the causeway. My car was totaled. Insurance paid for a new 750i. My new 750i was exactly the same color and all. I kept it till my lease terminated about 3 years later. The last six months I had complained various times about soft brakes to the dealer. The dealer could not figure out why, so when my lease was over I walked away, instead of buying it out as I had planned.